Since launching, Jim hasn’t put much mileage on Audacity. 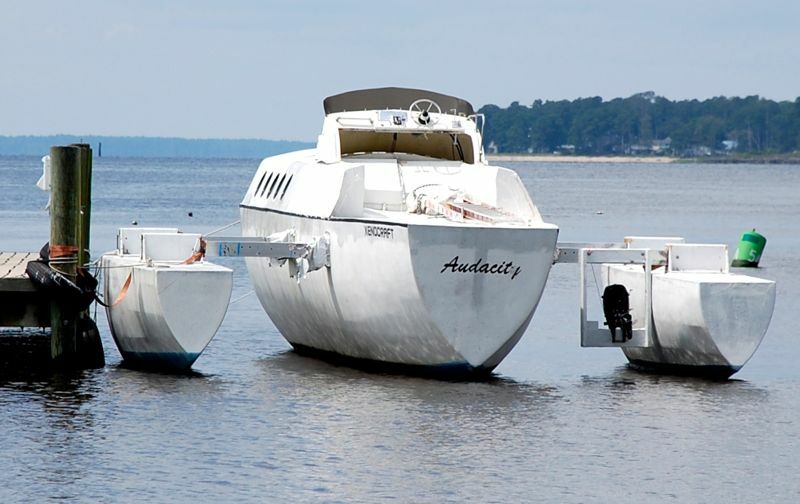 To see how efficiently she moves through the water, he towed her with another vessel. The tow vessel was equipped with a 6 horsepower outboard motor. Jim calculates he was able to tow Audacity over 12 miles on a gallon of gas. He was moving at under 4 knots. For a while, Audacity was moored behind Jim’s house. 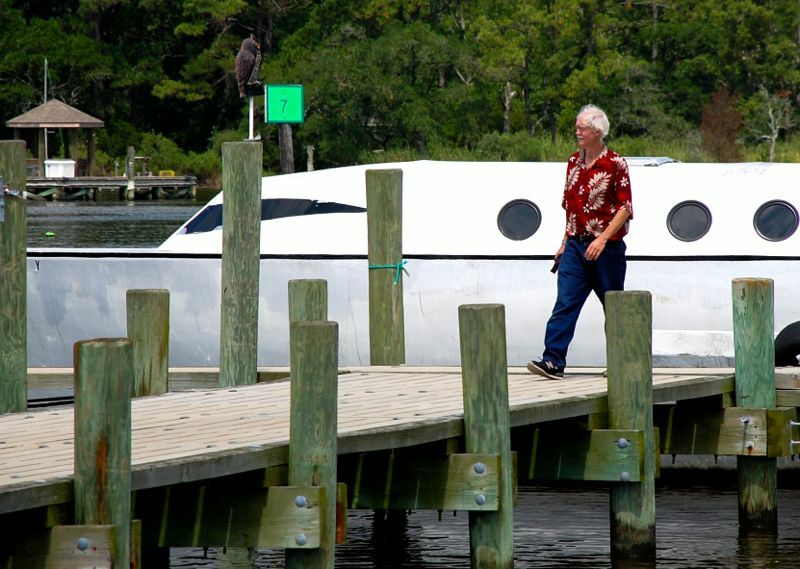 Later she was moved to Whitaker Pointe Marina. Audacity at the Whitaker Pointe Marina dock. At this point Jim can look back on the project with hindsight. He sees a mix of success and failure. “Operationally it’s a success. I’ve seen it floats. I see how it travels. The boat is vindicated.” he says. He plans to continue making improvements. A second outboard motor and an anchor well are planned. Still, one man was very interested in Audacity. Jim walks away from Audacity. She may soon leave Oriental – without him.